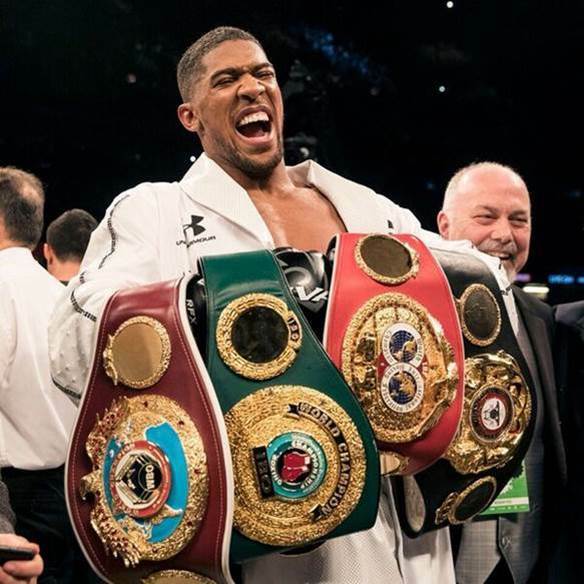 WBA, WBO and IBF champion Anthony Joshua 21-0 (20) says he is the number one heavyweight in the world and that Tyson Fury 27-0 (19) gave up any claim to the throne when he walked away from the sport for two-and-a-half years. “You’ve got to have a bit of respect. That championship belt ain’t just about fighting,” said Joshua, 28. “You can’t expect the whole division to go on hold. Fury had his issues and paused for three years. The whole division can’t wait and sit down, the ball keeps rolling. “Charles Martin called me out, he wanted to fight me. So I stepped up and fought. Klitschko wanted to fight, I fought. Joshua, who won the vacant IBF title against Charles Martin in April 2016 and has made five defences of that belt since, insists his record shows he is the leading heavyweight in the world right now. “I am the number one in the division. Name me a fighter that has a better record than me after 22 fights?” asked Joshua. “I don’t have to show anything. History will tell you. History is all that matters. No one could knock the route we’ve taken. I have proved myself at the top level.